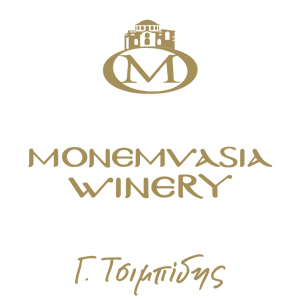 Monemvasia Winery from its inception, with the historical knowledge needed followed a process of 12 years of study, creating experimental vineyards, conducting international scientific symposium with the theme: Monemvasio-Malvasia wine and experimental winemaking with the Wine Institute. The Monemvassia-Malvasia was first bottled in 2013 and became matured in old oak barrels for 24 months. It is now crowned with 10 gold medals including the Regional Trophy Golden Medal of Decanter Wine Awards 2014, a double gold in New York in FLIWC, and the Grand trophy medal as the best Balkan wine for 2014 in BIWC! Our impressive vineyard of 300 acres is overgrown by local varieties and our wines are being awarded in International Wine Competitions. The Monemvasia Winery received the first prize for the best new business district of Peloponnese. With knowledge and respect for the history of the region, the company produces branded quality bottled wines under the brand name: Akra Morea, Kastropolitia, Maleatis, Laloudi, Monemvasios, nthosmias, Assyrtiko, Kydonitsa, Asproudi, Fileri, Akra Minoa, Agiorgitiko, “300”, and Monemvasia -Malvasia.